Skitskurr, the Weaver, is a ranged agility hero, renowned for being one of the hardest heroes in the game to properly lock down and kill, despite his extreme frailty. This is mainly due to his low-cooldown Shukuchi ability, which provides him both max movement speed and invisibility when used, making him highly effective at chasing enemies as well as escaping from battle. Additionally, his ultimate, Time Lapse, is another survival tool, allowing Weaver to regain the position and health points he had precisely 5 seconds prior to activation. His exceptional ability to maneuver around the battle, seeking the most fragile enemy heroes, is bolstered by his last two abilities. The Swarm is a wave of insects projected in front of Weaver that latch onto any visible enemy they come across. Until they are killed off, they will gradually inflict damage over time, reduce enemy armor, and perhaps most importantly, provide vision to Weaver. Finally, Geminate Attack allows Weaver to passively launch an additional attack every few seconds, making his offensive all the more potent. Not a hero capable of standing on the front lines, Weaver is nonetheless a huge threat against a team that has little ability to prevent his extreme maneuverability. Play "Fate weaves the threads of our lives together. Fate also wields the blade that cuts them short." Turning spell immune does not remove already attached beetles. The Swarm moves forward at a speed of 600, taking 5 seconds to reach max distance. The beetles are not attackable when traveling as a swarm. They become attackable only after latching onto targets. Beetles have the highest priority for auto-attack behaviors, together with Phantom's Embrace's Phantoms. The beetles spawn within a 300 radius around of Weaver (random position) and move forward as a swarm. When an enemy unit comes within 100 radius of a beetle, the beetle latches onto it, unless it already has a beetle latched onto it. This means that multiple casts cannot affect the same unit more than once simultaneously. The beetles can latch on invulnerable units, but not on invisible or hidden units. If a beetle's target turns hidden after latching, it still stays on it and is not removed. If a beetle's target turns invisible after latching, the beetle dies instantly (credited to no one), if the unit is not under True Sight. When the beetles get affected by Chronosphere they instantly die, credited to no one. The beetles can latch on units 3400 range away (spawn radius + travel distance + latch radius). When attached, the beetle always stays 64 range in front of the unit. The beetles do not actually attack their targets, but rather the spell simply deals damage to them in the set intervals while the beetle is attached. This means the damage is sourced to Weaver, so that it is affected by spell damage amplification and spell lifesteal. The armor reduction is independent from the damage. It keeps reducing armor on ethereal targets, but not invulnerable targets. The armor reduction is directly bound to the beetle, so it disappears always together with it. Beetles attack in 1.25/1.1/0.95/0.8 second intervals, starting immediately when latching on a unit, resulting in up to 13/15/17/21 attacks. The armor reduction is applied with the same intervals, but happens before the damage is applied. The Swarm can deal up to 234/300/374/504 damage to each latched enemy (before reductions). Can reduce up to 13/15/17/21 ( 19.5/22.5/25.5/31.5) armor per unit. The Swarm's damage can be reduced by Damage Block, but ignores evasion. The beetles provide flying vision while traveling forwards and while attached to a unit. Shukuchi does not interrupt Weaver's channeling spells upon cast. Invisibility disjoints projectiles upon cast, if the enemy has no True Sight. Can only damage the same unit once per cast. Applies a haste on Weaver, meaning he cannot be slowed below the set value. During the fade time, Weaver can cast spells, use items and perform attacks without breaking the invisibility. Allows Weaver to path through other units, including wards, but not through buildings. Unlike other phasing invisibility spells, Shukuchi turns Weaver phased directly on cast, instead of after the fade time. Weaver can pick up or drop items without breaking the invisibility. If the level 25 talent is skilled during Shukuchi, the bonus movement speed is applied immediately. Skitskurr's relationship with time is somewhat variable, causing his actions to be witnessed — and felt — more than once. Causes Weaver to perform an instant attack on the attacked target 0.25 seconds after the leading attack. This means the extra attack is a regular attack, using Weaver's 900 projectile speed. It also means that it can proc any attack modifier or any on-hit effect like a regular attack. If Weaver is blinded, the geminate attack can miss, unless he has True Strike. It can also miss to evasion. The instant attacks of Geminate Attack do not break Smoke of Deceit's invisibility. The bonus damage is only applied to the extra attacks. The triggering attack does not deal more damage. The geminate attack is automatically launched 0.25 seconds after the initial attack is launched. It does not matter if the leading attack misses or not. There is no range limit built into the second attack. If the target moves far away before the geminate attack is launched, it still launches. Even if the initial attack kills the target before the second attack launches, the second attack will target the dead unit. Works against enemy buildings, couriers, and wards, except for Observer and Sentry Wards. Reduces cooldown, and allows Weaver to cast Time Lapse on an ally. Time Lapse disjoints projectiles and applies a strong dispel upon cast. Weaver is ordered to stop right after getting moved back. However, shift-queued commands are not canceled. Only affects Weaver's position, health, mana and status debuffs. Buffs are not removed. It does not matter how long Weaver is already affected by debuffs, they simply are completely removed, if they can be removed. Time Lapse does not damage Weaver, it manipulates his health. So it does not interact with any on-damage effect. When cast right after respawning, the health, mana and position are set to what they were before the death. This means that Time Lapse does not kill the caster when cast immediately after respawning. When having Aghanim's Scepter, Time Lapse turns into a unit-targeted spell, able to target allied heroes. Double-clicking the ability with Aghanim's Scepter automatically targets self. Applies the disjoint and strong dispel on the target ally as well. Does not order the target to stop, so their channeling spells are not canceled. This is also why it has a backswing when upgraded. When cast on allies who just respawned, their health, mana and position are not set back to what they were before the death. This means allies cannot be sent back to their death location after respawning, unlike how Weaver can when cast on self. Grants Weaver's attacks Mana Break, causing his attacks to burn the target's mana and deal damage based on the burned mana. Effectively increases Weaver's attack damage by 16 against units which have enough mana to burn. Effectively increases the attack damage of Weaver's illusions by 8 against units which have enough mana to burn. All Weavers worked to maintain the fabric of creation, save one Skitskurr, who took it upon himself to create that which had not been woven. Cast out for his ambitions, Skitskurr was now free from his obligations, free to weave a new reality of his own. He opens a gap in spacetime, inviting The Swarm to latch onto enemies, and nibble away at their armor. Nearly impossible to pin down, he slips into micro-wormholes, passing through enemies and reappearing with Shukuchi. The fabric of time frays around Skitskurr, occasionally replaying his actions with Geminate Attack. The Weaver takes brinksmanship to an extreme. Fighting to the verge of death, Skitskurr turns back the clock with Time Lapse, reversing his injuries and undoing his foes' efforts, much to their dismay. Weaver's original title was Nerubian Weaver, and his original name was Anub'seran. Nerubians are a race of arachnids in the Warcraft universe. Weaver's fun name in DotA was Anoob'seran. Geminate Attack is frequently misread as Germinate Attack. To geminate is to double, coming from the Latin word for twin (as in Gemini). Shukuchi is a Japanese term for rapid movement, or teleportation. The ability's name is a reference to an ability of the same name of a character named Soujiro from the anime Rurouni Kenshin. Weaver draws many inspirations from a character of the same name in the novel, Perdido Street Station. 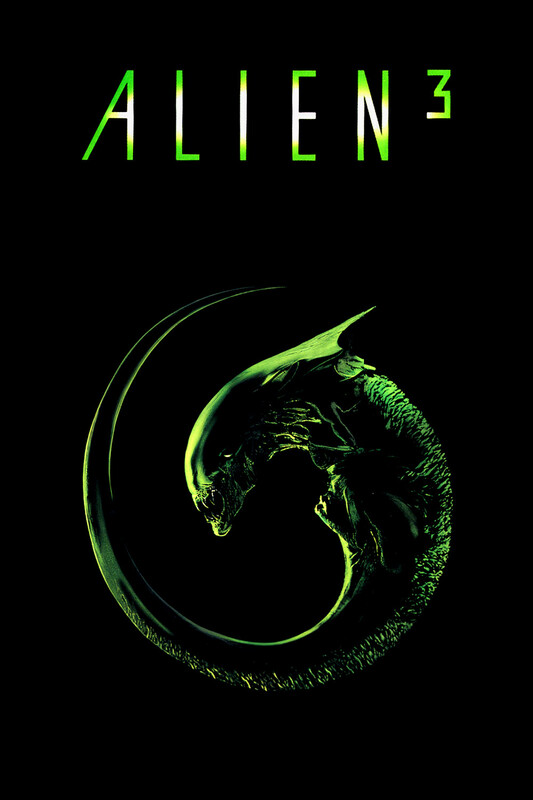 Weaver's Time Lapse icon may also be a reference to the box art of the movie Alien 3, considering that Sigourney Weaver has the lead role in the film. ↑ Neichus, one of DotA's early developers and creator of Weaver, telling the origin of Shukuchi's ability name.